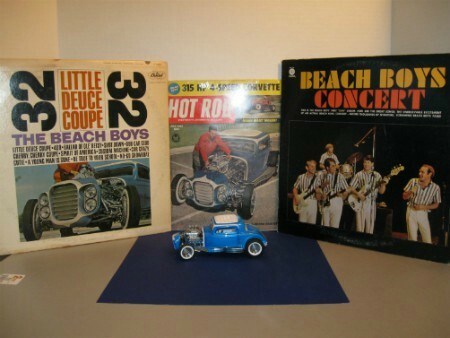 Beach Boys Songs, Little Deuce Coupe and great vinyl record memories. The Little Deuce Coupe Story. The Beach Boys Songs have been around for over fifty years. 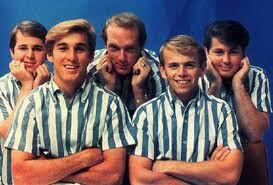 The Beach Boys were formed in 1961 and grew up singing about Southern California girls, surfing and cool cars. 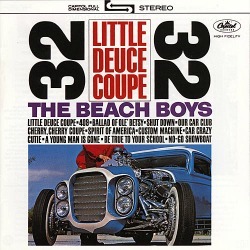 One of my favorite album covers by the Beach Boys is Little Deuce Coupe. Not necessarily my favorite album, but I love car songs so it remains a favorite album in my collection. In addition to Deuce Coupe the album has one of my all time favorite car songs, 409 and expanded the band's subject matter in 1963 to include America's love affair with hot rods. A highpoint on the album was a tribute to screen legend James Dean with the song, "A Young Man Is Gone," a prime example of Wilson's arranging genius and the band's superior vocal range. Beach Boys Songs - My Cool Beach Boys Collection. If you will notice I have a picture of my 1961 Hot Rod magazine with the Little Deuce Coupe on the cover. 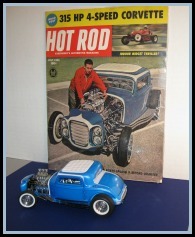 I purchased that magazine several years ago when the Danbury Mint released their Little Deuce Coupe replica. It's a perfect reproduction of the original '32 Ford. The Little Deuce Coupe album was purchased from a gentleman on ebay in 2009 and I actually paid more for the magazine than I did the album. I did contact the man after I received the album and informed him that I purchased the album new in 1963 and over the years I lost the album. I wanted to add it to my collection because of the magazine cover and the cool Little Deuce Coupe Hot Rod replica that I now owned. He also sent me The Beach Boys #1 album from 1974, "Endless Summer." That matched perfectly with my other Beach Boys' 1964 #1 Album, "Beach Boys' Concert." He said he was selling all his albums so someone else could enjoy them and thought my collection was pretty cool. He sent the second album to me at no charge. That was also pretty cool. 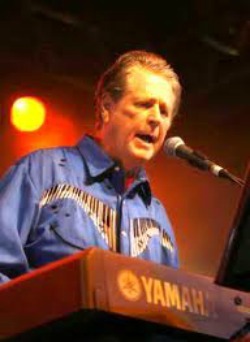 The song was written by Brian Wilson and Roger Christian and first appeared as the B-side to The Beach Boys' single "Surfer Girl" in 1963. "Surfer Girl" reached #7 on the Billboard Hot 100, and "Little Deuce Coupe" became The Beach Boys' highest charting B-side at #15. After being released on the "Surfer Girl" album it was then released on the "Little Deuce Coupe" album as the title track in October of 1963. It was The Boys' fourth album in less than a year and reached #4 during a 46 week stay on the charts. Be sure to check out the links below so you don't miss my "Little Deuce Coupe Story." Beach Boys Songs - Brian's cool oldies music lyrics. "We loved doing 'Little Deuce Coupe'. It was a good 'shuffle' rhythm, which was not like most of the rhythms of the records on the radio in those days. It had a bouncy feel to it. Like most of our records, it had a competitive lyric. This record was my favorite Beach Boys car song." Beach Boys Songs - The Beach Boys Cool Intro. While on tour in 1963 Mike Love came up with the idea to use short instrumental segments to introduce the band to the audience before actually launching into the song. Mike would start with Dennis Wilson on drums, then add Al Jardine on rhythm guitar, Carl Wilson on lead guitar and finally the leader of the group, Brian on the bass. The group would then step up to the microphone and jump into "Little Deuce Coupe." This Video is an early live performance and shows how the band was introduced to the audience. The Beach Boys' were inducted into the Rock and Roll Hall of Fame Class of 1988. My two favorite "Don't Worry Baby" cover songs and more Beach Boys links. Cool video cover & Beach Boys tribute by Billy Joel. Don't Worry Baby - Lorrie Morgan with The Beach Boys. 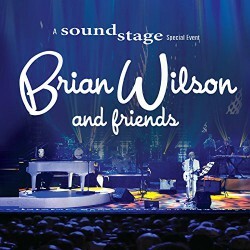 Good Vibrations - Love this version by Brian Wilson & his band. 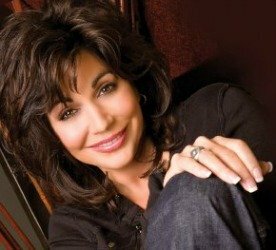 Don't miss this Great Beach Boys Cover Video by this gifted Christian Contemporary Singer. Visit the Amazon Beach Boys store. See all 382 albums in one location. The real "Little Deuce Coupe" story includes video showing where this historic vehicle is located. Read more. A Beach Boys Cover Song. I always enjoyed the Beach Boys version but Kathy just multiplied the WOW factor by a million. One of those really nice "feel good" love songs. Read more.